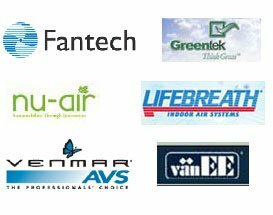 Clean Air Solutions is a HRV and air exchange system specialist serving St. John's and Northeast Avalon. You can have a comfortable, energy efficient air tight home while maintaining high indoor air quality for you and your family. Assessments on any residential ventilation project, small or large. Installation of Heat Exchangers and HRV systems in St. John’s & the Northeast Avalon. Replacement of existing Heat Air Exchange systems. Cleaning and servicing of heat exchangers and ventilation systems. Installation of kitchen and bathroom exhaust systems. Regular maintenance on new or existing units using our 10 Point Service Pla﻿﻿n. "Clean Air Solutions does all the HRV installation work for my new home construction projects. Steve has also done work on 2 of my own homes. I find him honest, punctual and when he says he's going to be there, he is."